This is officially my forth entry to my "Travel Journal Series". 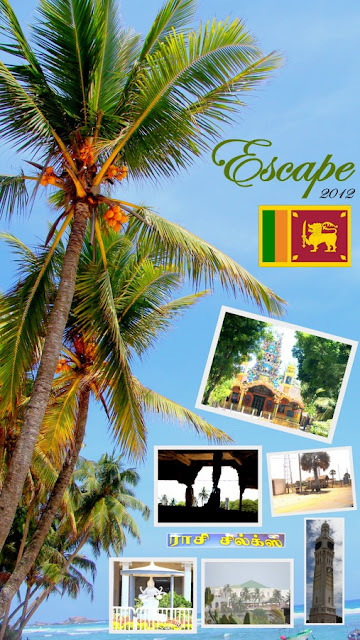 This chapter is about my trip to Sigiriya and Trincomalee. During my last week stay in Sri Lanka my parents decided to us to go on a long road trip to Trincomalee. So, we all woke up early in the morning at around 4 in the morning and went on the road trip. The ride was extremely long, so my dad got a driver, so they could take turns driving. So, on the way to our destination we ended up stopping at a restaurant to have breakfast. The food looked great as usually, but I ended up having some small snacks and coffee to boost up my energy. After having a quick bit to eat, we just got back in the car and kept on going for a very long time. The roads were smooth until we hit half of the trip, the roads are all broken down due to construction. Due to that it was a bumpy ride, and yes I did have a back pain. Well, during the road trip we ended up stopping at the town called Sigiriya. 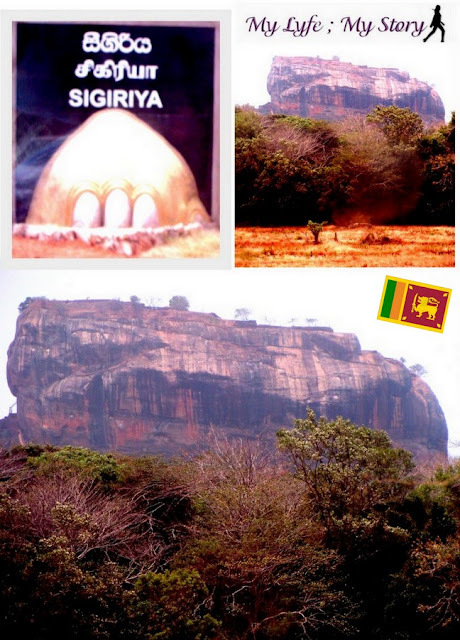 Sigiriya is the town where the famous, Lion’s Rock is located. The mountain is a work of art by Mother Nature. Also, right beside the Lion’s Rock is a Buddhist temple, which includes a white “Giant Buddha”. The temple staffs were so nice, that he allowed me to take photos at the temple. After making an unexpected stop at Sigiriya, we got back on our vehicle and headed to our destination, Trincomalee. After a few hours, we end up at Trincomalee and as we entered into the city my parents first decided to take us to a place called Kanniya Hot Wells. Kanniya Hot Well is an amazing natural site, the “Kanniya Hot wells are reputed as one of the 7 wonders of Sri Lanka. This place has Seven hot wells. Water is in different temperatures. 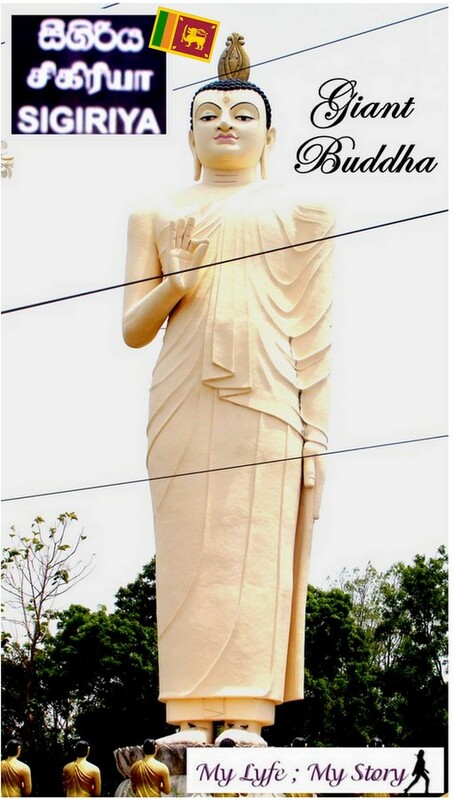 The place is located in Kanniya, 7 km away from Trincomalee town. It is also 1km inside from the main road of Anuradhpaura to Trincomalee. People believe that bathing in these well will refresh them. 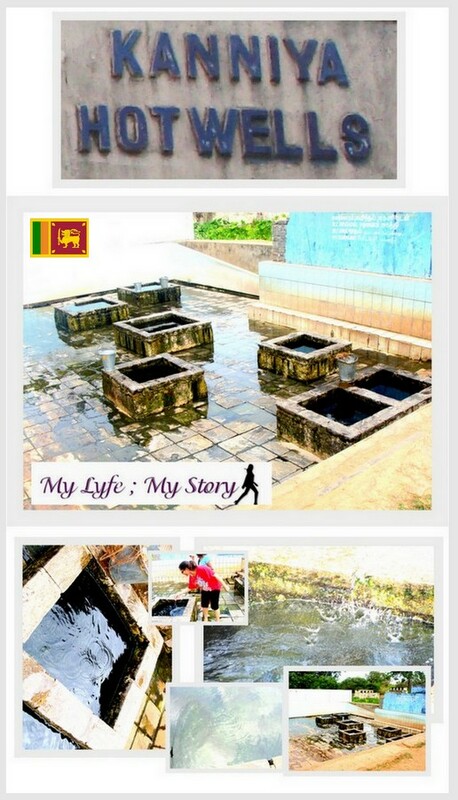 This is one of the historical places of Trincomalee district.”. (this quote is from a wikipedia). The Hot Wells are so unique; since each of the seven wells contains hot water and all of them are in different temperature. I ended up washing my face and legs with the warm water. If I was younger I would have taken a shower, but since there were tons of people I literally felt shy about it. Maybe next time, I should take a large group of girls with me, so I don’t feel alone. 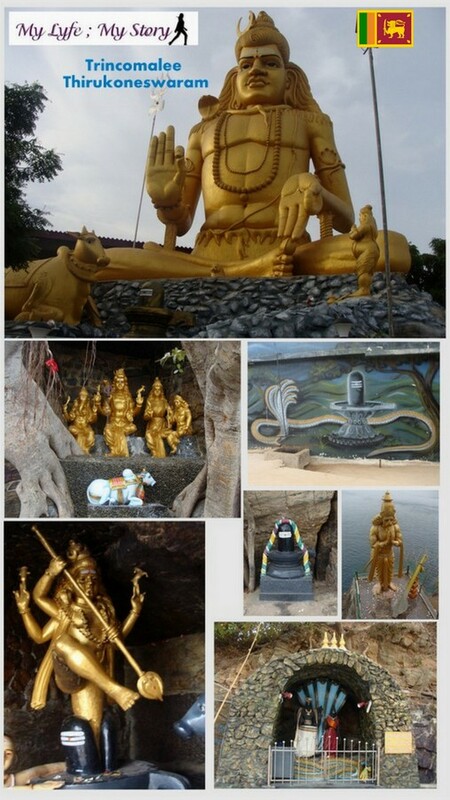 After spending some time Kanniya Hot Wells, we got back on to the vehicle and headed to Thirukoneswaram Temple located in Trincomalee. The temple is so beautiful, as soon as we got there, we were in trip for the pooja; which was amazing. My mom told me that it’s good that we got there in time for the prayers. After the prayers, we went on a long walk through the temple. The temple was filled with tons of rock paintings and statues; I just got crazy and kept on snapping photos. Right beside the temple is the “Ravana Cut”, this is a mythological story for my Hindu culture. The story is “Legends of the Hindu epic Ramayana note that the King Ravana and his mother had worshipped Shiva at the shrine, and the former wanted to remove the temple of Koneswaram when his mother was in ailing health circa 2000 BCE. As he was heaving the rock, Lord Shiva made him drop his sword. As a result of this a cleft was created on the rock, which today is called Ravana Vettu - meaning Ravana's Cleft.” (this quote is from a wikipedia). 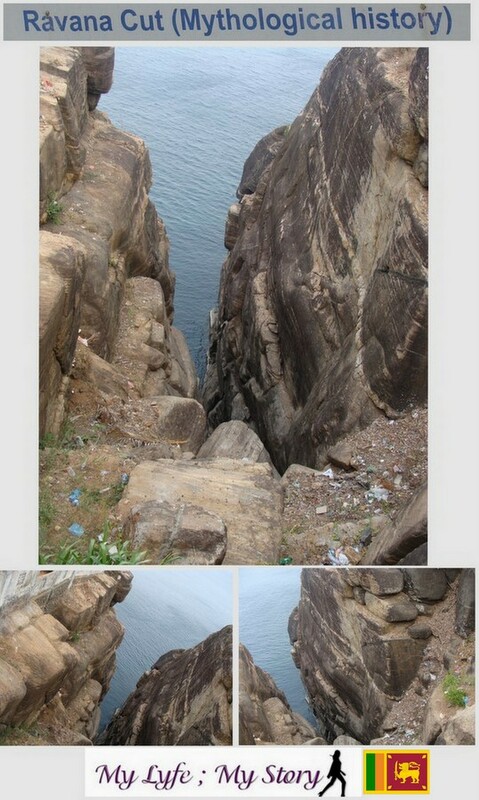 Surprisingly, as we were looking at the “Ravan Cut”, we stopped a cobra snake slithering his way through the rocks. It was pretty creepy, but cool and yes I did take photos of it. However didn’t want to share them since some of you may feel uncomfortable of them, like for instance my sister. After that experience, we all just headed on a search to finding a hotel to stay for the night. Well, that’s all for today! Hope you all enjoy this chapter, tomorrow I will follow up on how the search for a hotel went and what happened. 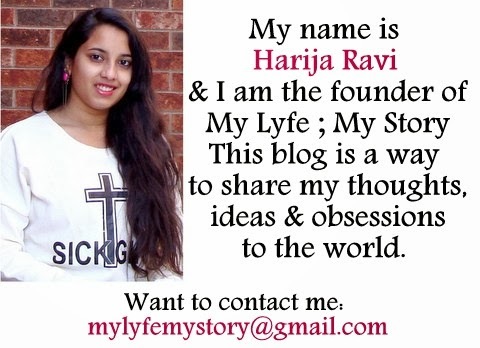 Also, the next post will be the last chapter of the "Travel Journal Series". And yes, today is Friday!